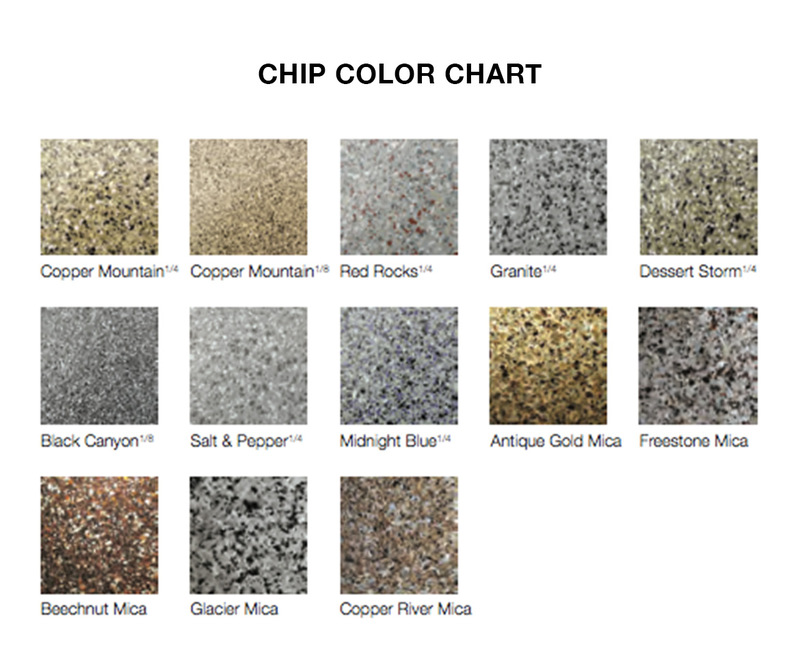 Epoxy chip flooring systems are comprised of multiple layers of 100% solids epoxy, vinyl flakes, and chemical and UV resistant topcoats. They provide slip resistant and chemical resistant properties to any environment and are very easy to maintain in commercial spaces. Best suited for areas that withstand heavy foot traffic or light vehicle traffic, this finish provides a terrazzo-like aesthetic that is pleasing to the eye. 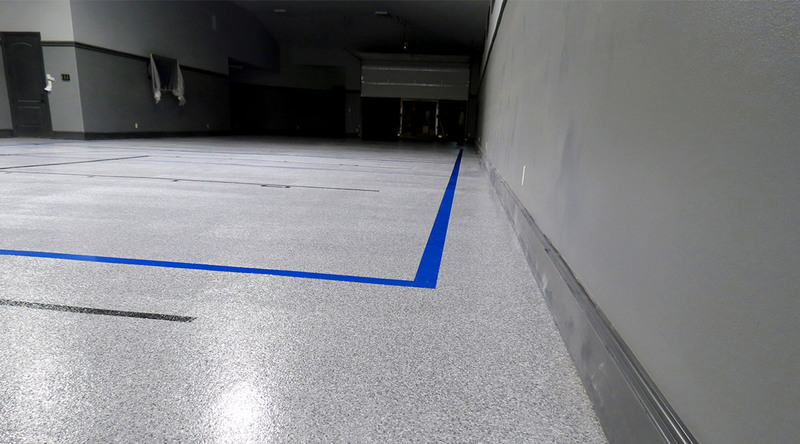 Epoxy Chip flooring systems are ideal candidates for facilities that have traditionally utilized Vinyl Composite Tile (VCT) and require virtually no maintenance. 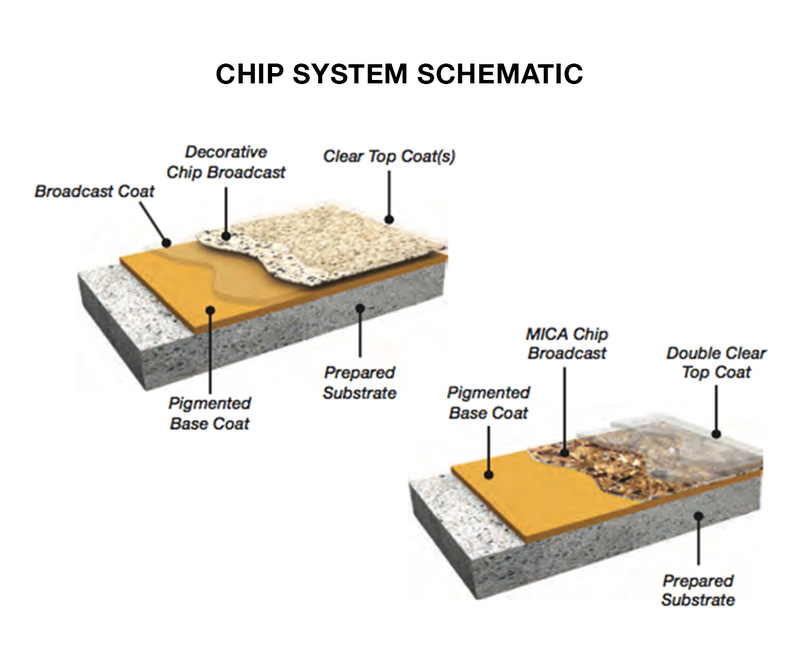 Over the course of their lifetime, an epoxy chip flooring will outperform any VCT system while reducing the time and expense required for maintenance. VCT systems require frequent stripping and waxing, and are vulnerable to moisture vapor intrusion. 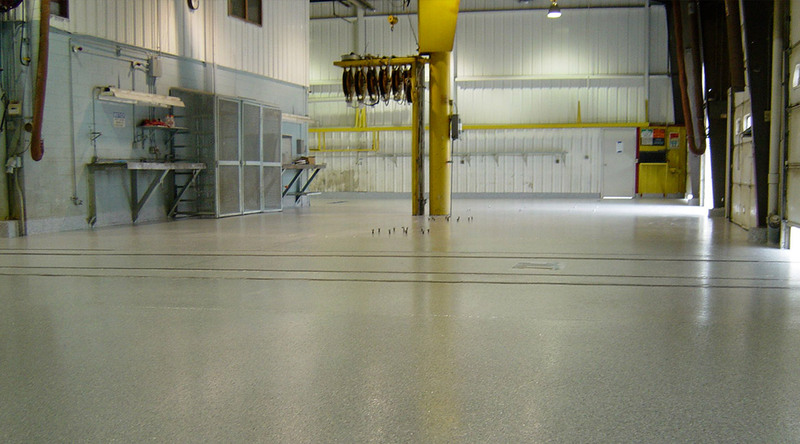 Epoxy systems offer the capability of moisture resistance and do not require constant stripping and waxing.